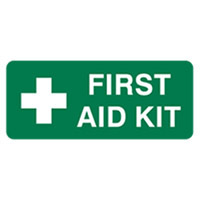 Emergency Signs indicate the nearest location of, or directions to emergency related facilities (Exits, First Aid, Safety equipment etc.). 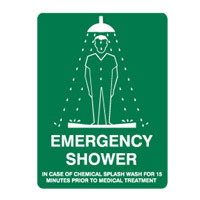 Features a white symbol and/or text on a green background. 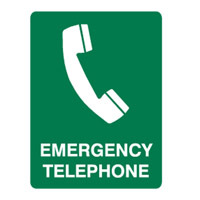 Emergency Information Signs comply to AS 1319 regulations.